For the first time in 15 years, Aaron Carter is releasing a new album. Entitled LøVë, the album will be released worldwide on February 16th, 2018 (Z-Entertainment/RED MUSIC). "Don't Say Goodbye," the first single off LøVë amassing nearly 1M streams across all platforms since release, landed on the Spotify U.S. Viral chart and received prime placement on Spotify's New Music Friday and Weekly Buzz playlists. The multiplatinum pop superstar, who has toured the globe with other musicians such as Britney Spears and the Backstreet Boys, will set out on an intimate US tour, in support of the album, kicking off February 22 in Teaneck, NJ. As the consummate professional and artist that he is, Aaron has been focused on developing the tracks for LøVë for over two years, and he has writing and producer credits on every song on the album. Now as an adult, a flame has sparked in Aaron to evolve and grow as an artist, driving him to study different styles and genres and incorporate that into this work. The result of his musical expansion can be heard in his newly released single, "Fools Gold," off of LøVë. In 2017, Aaron released his song "Sooner Or Later." In less than eight months, it generated over 75 million streams on Spotify and ended up on Spotify's "Today's Top Hits," the US Viral Chart, and the Global Viral Chart. "Fool's Gold," which Billboard described as "an intriguing look at how the singer best known for his Radio Disney hits has evolved over the past decade," debuted in 2017. That track has already surpassed 7 million streams and charted on the Billboard + Twitter Emerging Artist Chart. Aaron, who's been making music since he was seven years old states, "For me, it's all about the music. And if there is one lesson I've learned this [last] year, it's to not dwell on the past, but to live for the future." Adding, "Don't Say Goodbye encompasses everything I went through last year." And, "I am so grateful to my fans and look forward to sharing this deeply personal music which came from the inner core of my heart and soul." Aaron, now 30, began his musical career at 7 years old singing for the band "Dead End." Two years later in 1997, he made his first solo appearance when he opened for the "Backstreet Boys" (his brother, Nick Carter's band) in Berlin, Germany. Within months, Aaron was signed to a record label and released his first hit single, "Crush On You," followed by his first album, Aaron Carter, which was a 5x platinum album and achieved gold status in several countries around the world. After signing with Jive Records the following year, Aaron released his next album, Aaron's Party in 2000, which was an instant success and went quadruple platinum, selling more than 3 million copies. "Oh Aaron" was released in 2001, which went triple platinum, followed by another triple platinum album "Another Earthquake" in 2002. 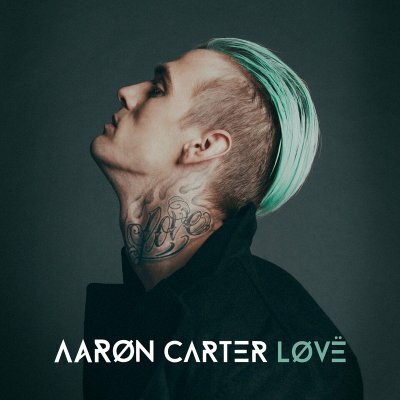 His collection album, Most Requested Hits, was released in 2003 and went double platinum, followed by another compilation album in 2006, Come Get It: The Very Best of Aaron Carter.